Quickly and easily transfer your files between OTG-enabled Android smartphones and tablets1 and PC and Mac computers. Free up space to add more photos, videos, songs, and other stuff. 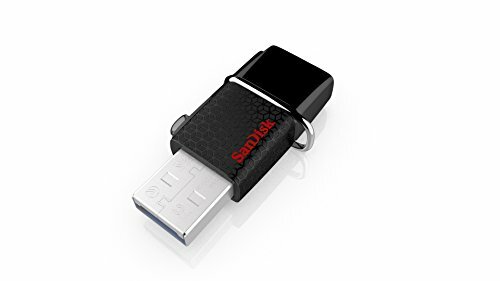 Simply connect the SanDisk Ultra Dual USB Drive 3.0 to the micro-USB port of your Android device and move up to 64 GB** of content to the drive. Quickly transfer files at up to 130MB/s* from drive to computer with the high-speed USB 3.0 connector. Spend less time waiting to transfer a full-length movie to the drive than with a standard USB 2.0 drive3. The SanDisk Memory Zone app (available on Google Play) helps you manage your phone’s memory2, making it easy to move, view, copy, or backup your photos and videos to the drive, so you’re always ready to take more videos and pictures on the go.